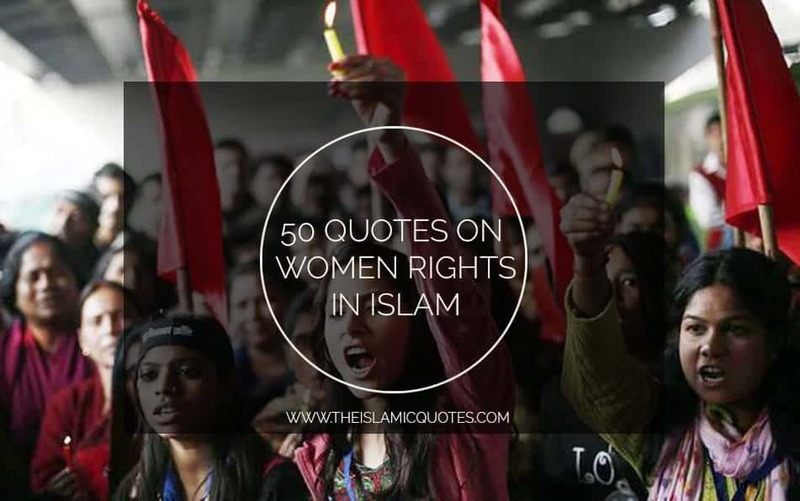 Islamic Quotes About women rights. 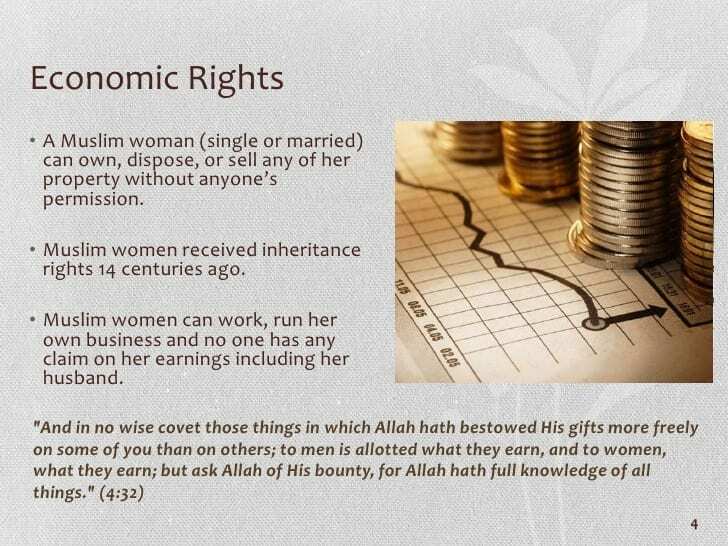 The rights of women have always been an important part of building up a society, no matter how patriarchal it may be. 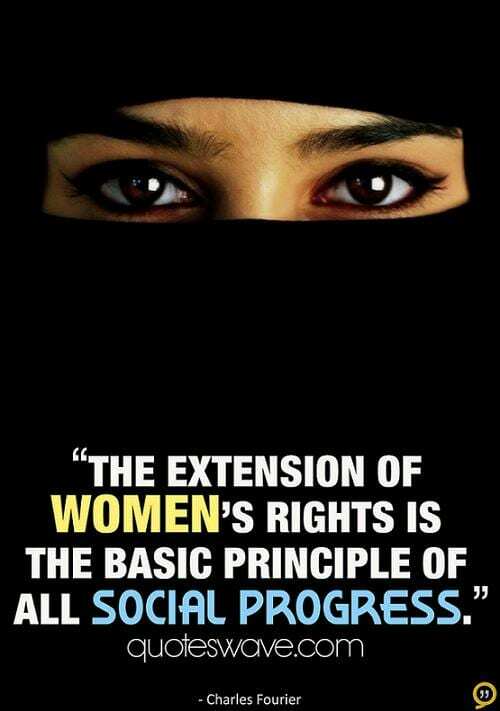 Human rights build up a society while the rights of women complete a society. 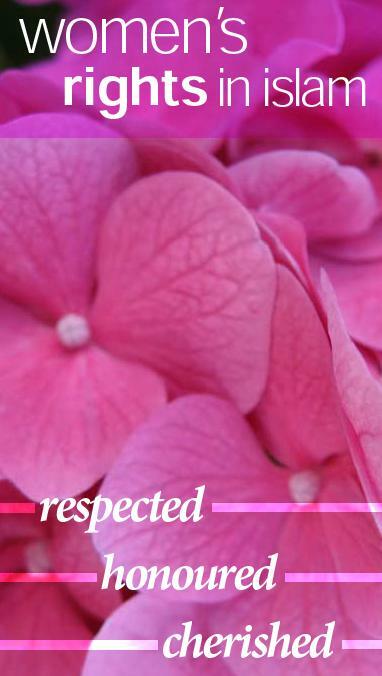 Without them, a society cannot be strong or sustain. 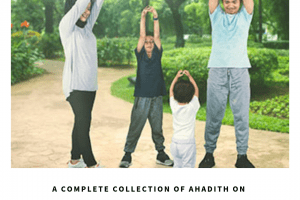 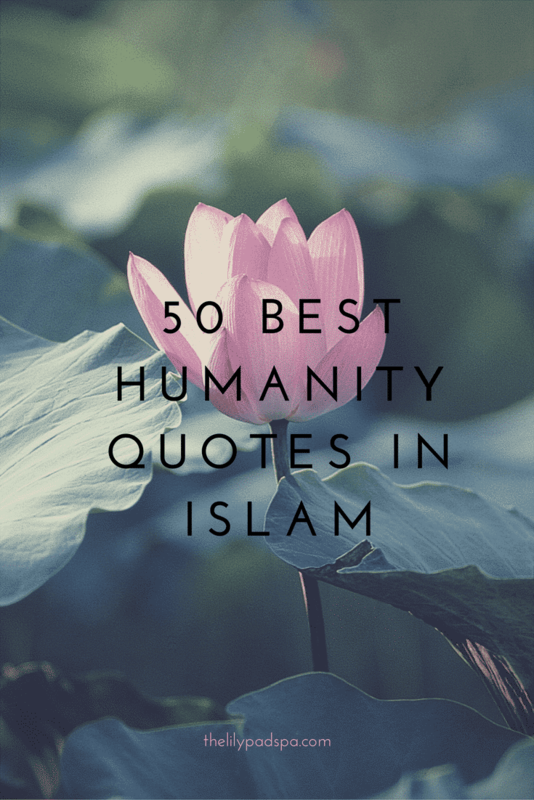 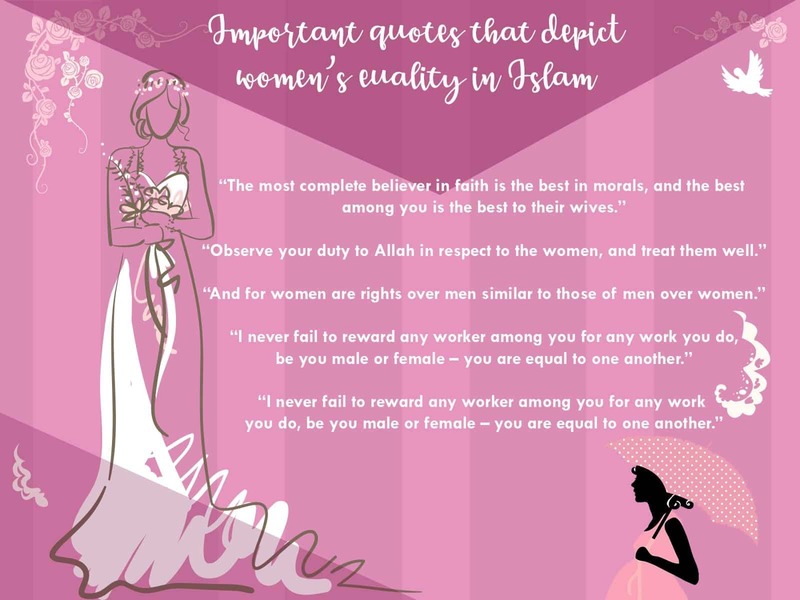 In order to reflect on their importance, these Islamic quotes discuss the value and importance that has been gifted to women in Islam. 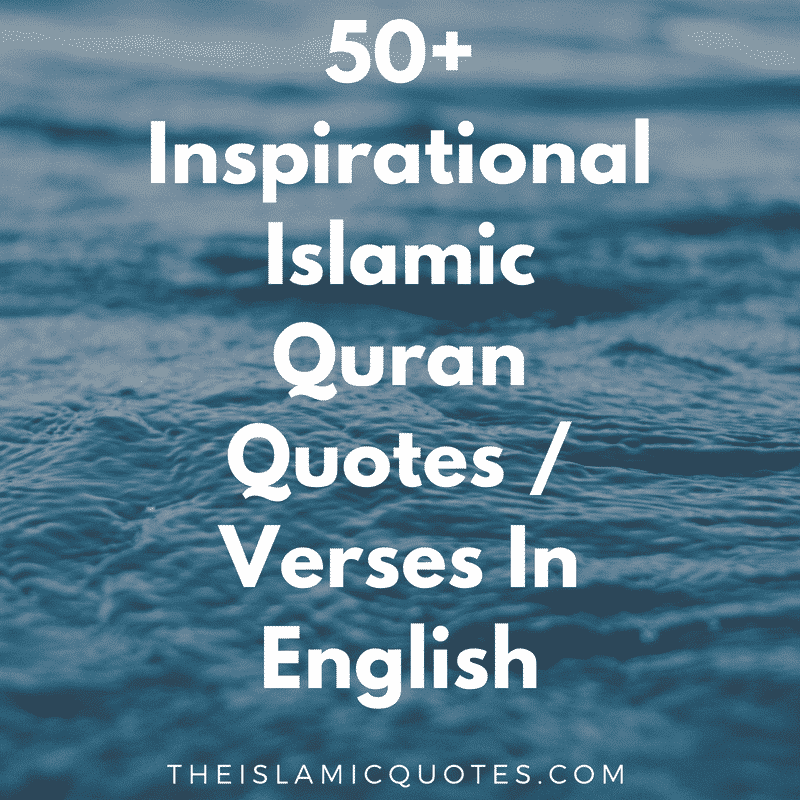 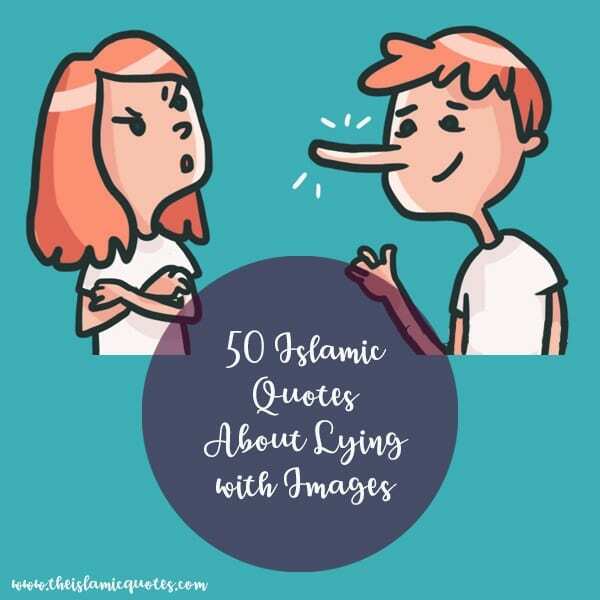 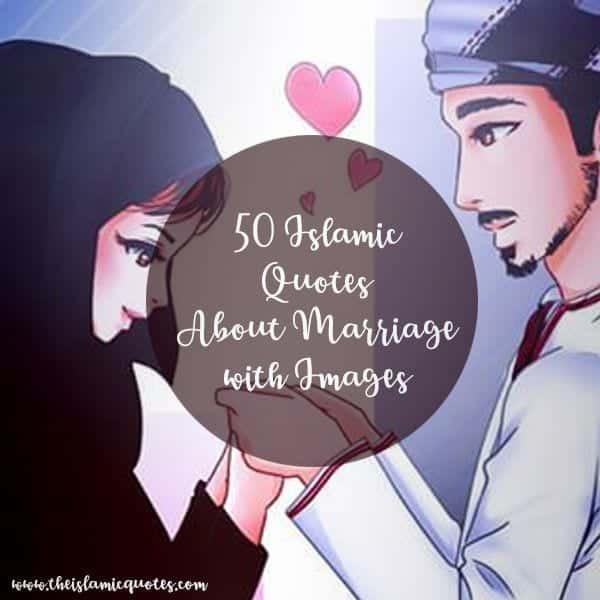 So, below are the 50 Islamic quotes about women rights with engaging images to help you understand and value their rights as well. 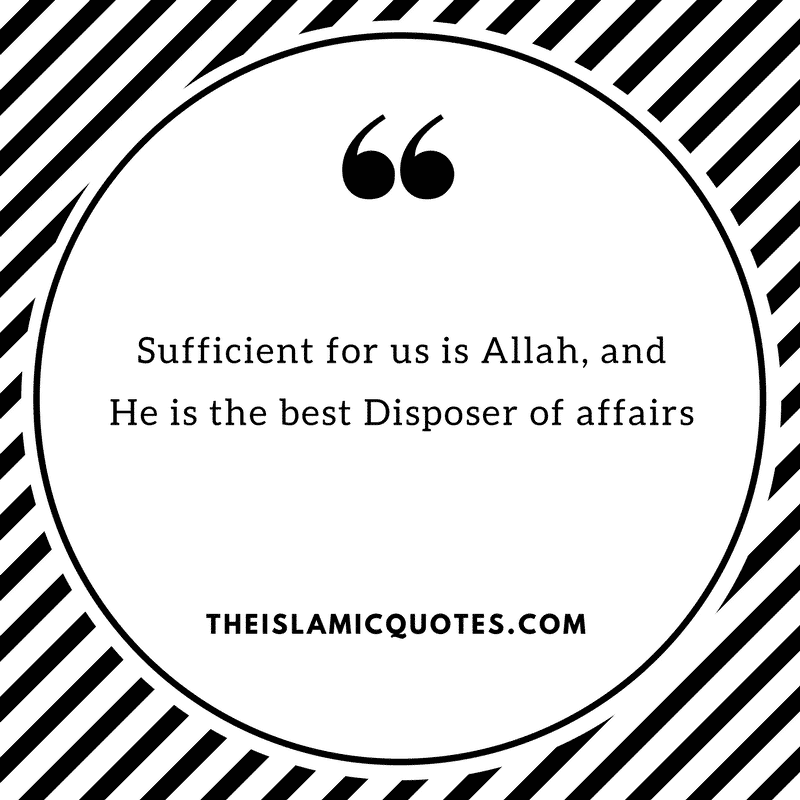 This quote identifies the truest believer of all. 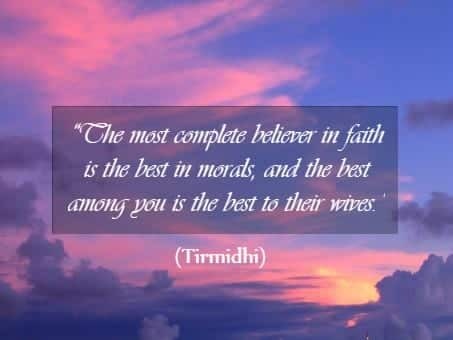 There may be a lot of believers of faith, but the best believer is someone who treats his wife in the best way possible, only then will his faith be the utmost and the stronger. 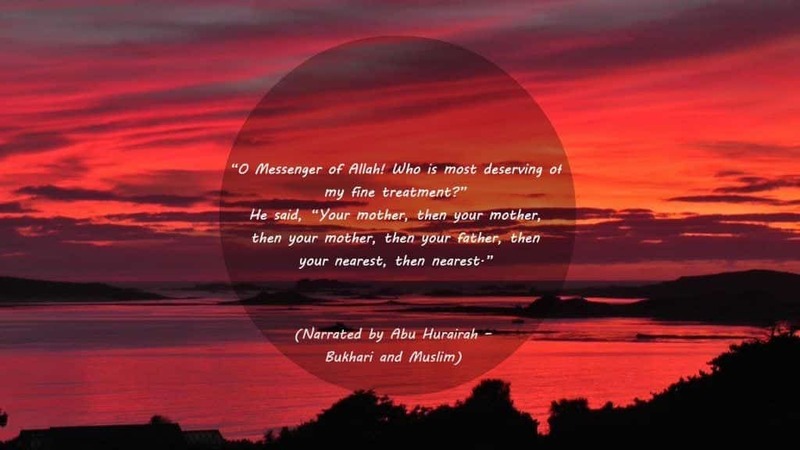 When the messengers of Allah were asked about who is worthy of the finest treatment, then the messengers said that all mothers are worthy of the finest treatment you can give to a person. 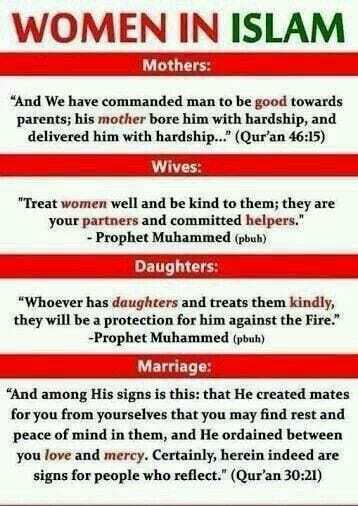 After mothers, are mothers, then mothers and then finally your father. 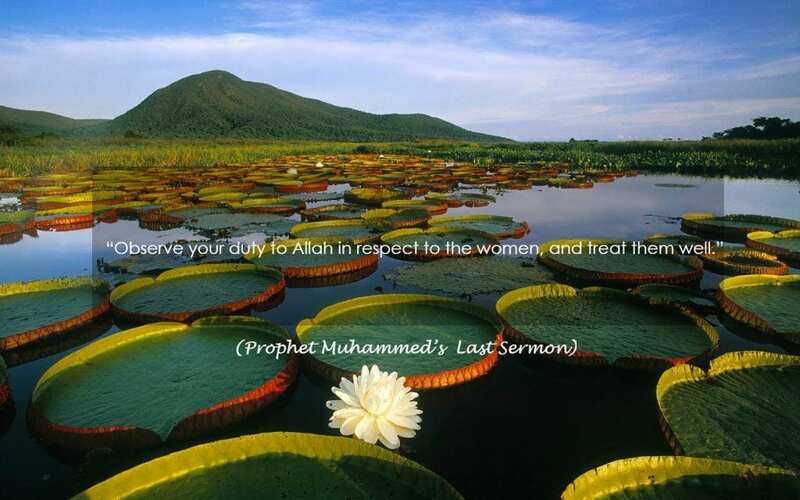 About how all the true believers should obey the commands of Allah and know that they have to treat women well or they will not be called true believers. 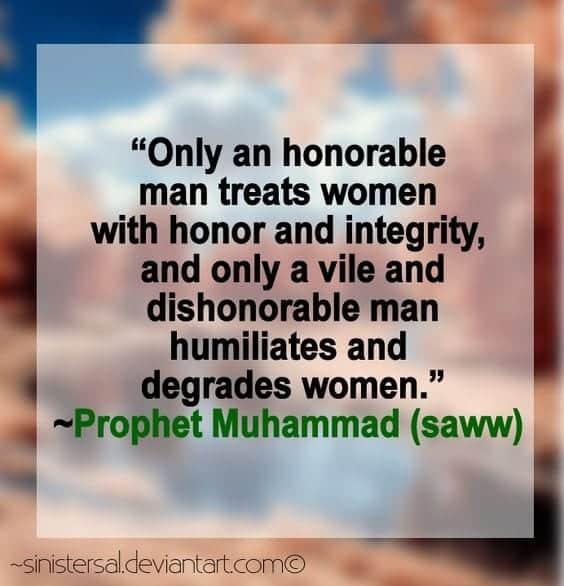 And it is their duty to treat women with respect and kindness. 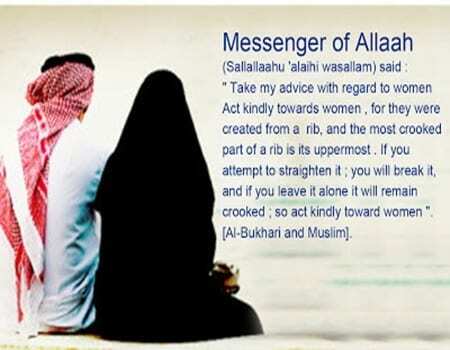 This quote simplifies the equality that should be maintained between the husband and wife. 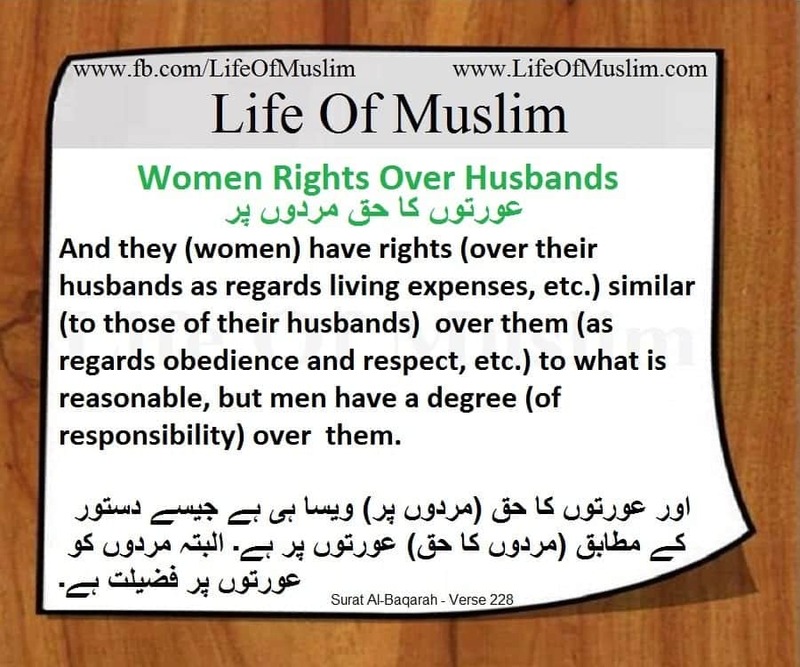 How the wife is supposed to be treated with equality in every aspect and should not be undermined or belittled. 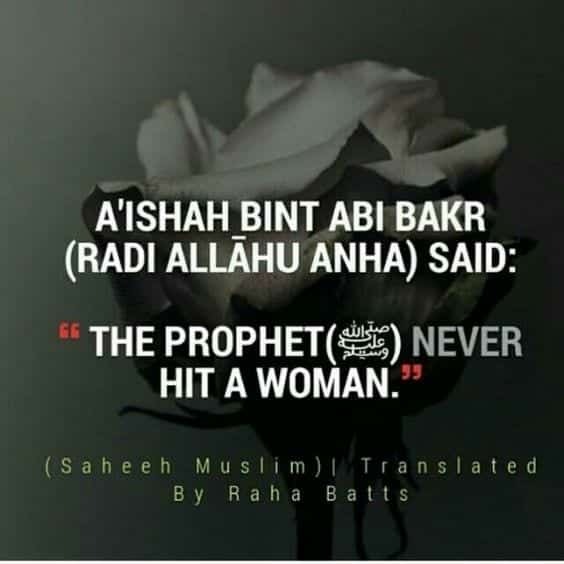 How assaulting women in any way is simply unacceptable and those who do this will be punished eventually. 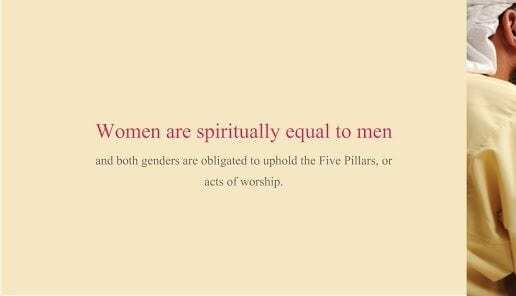 This quote puts the spotlight on how the rights of men and women are just the same and patriarchy is basically a delusion created by our wonderful society. 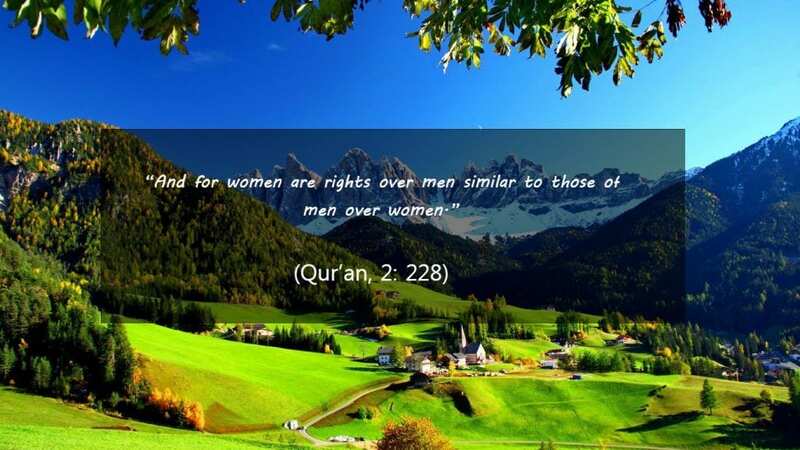 Even Quran says that rights given to women and men are same then society cannot change this. 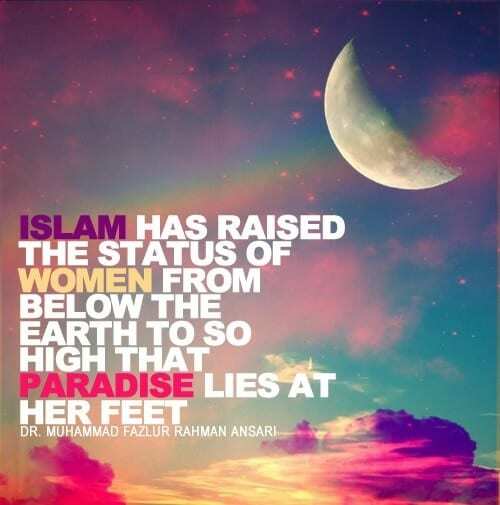 All women have been given the status of utmost integrity and value that now paradise is considered to be under their feet. 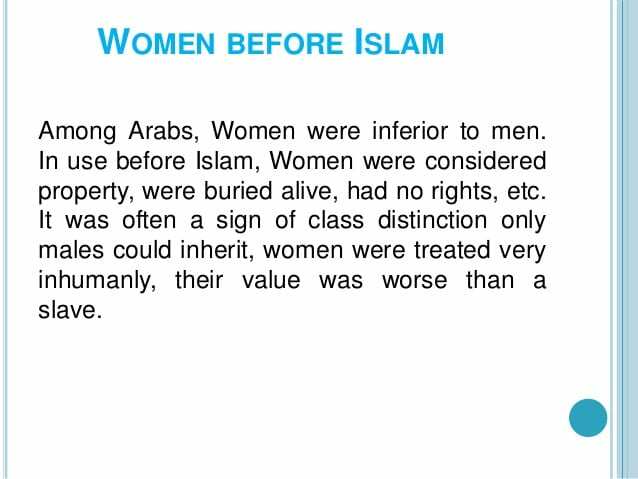 When Islam itself has given such importance and respect to women then we have no right to dismiss or belittle women or their rights. 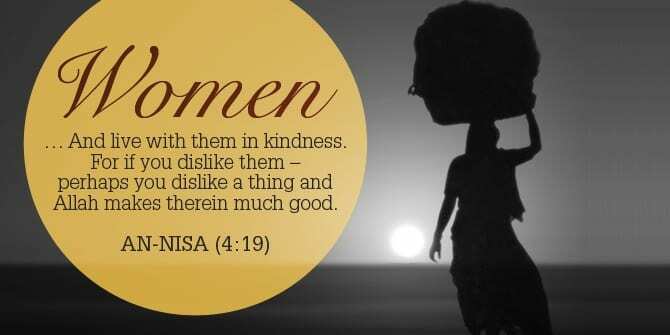 We should think of women with the same perspective that Islam does. 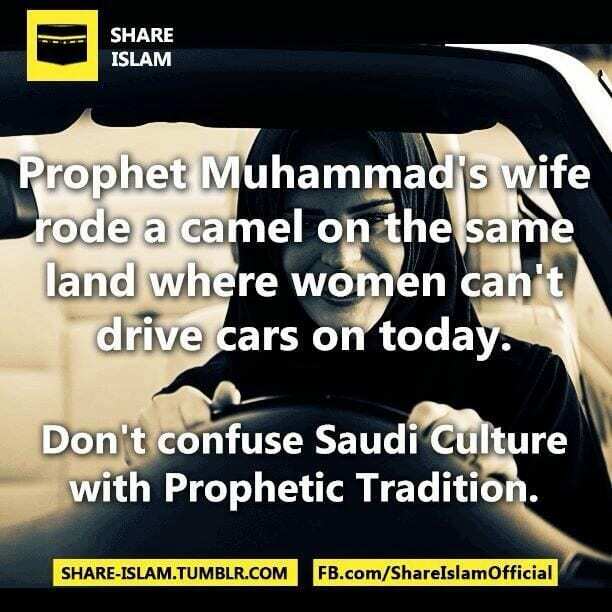 There is a drastic difference between Islam and society’s culture. 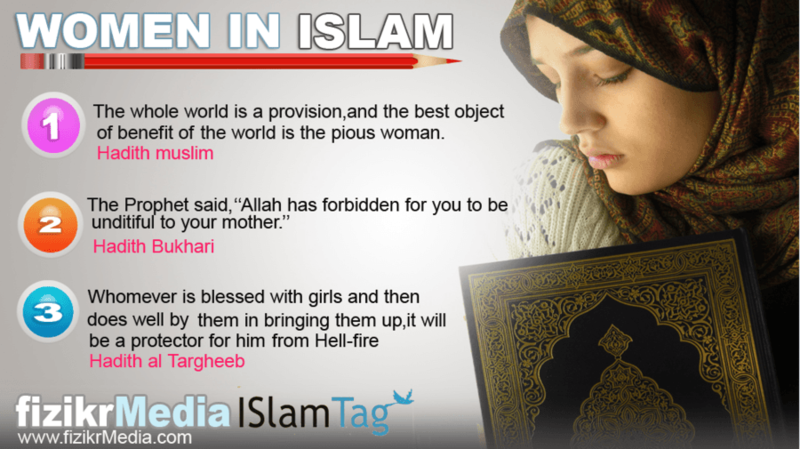 Islam has given the rights to women that society has pleasantly taken away. 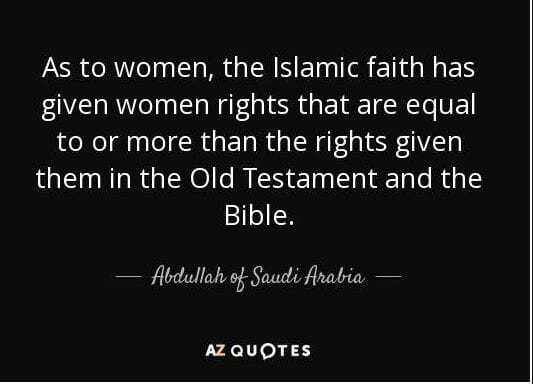 This quote talks about sexism in society and how the wife of prophet rode camels on the same earth that women are not allowed to drive on today. 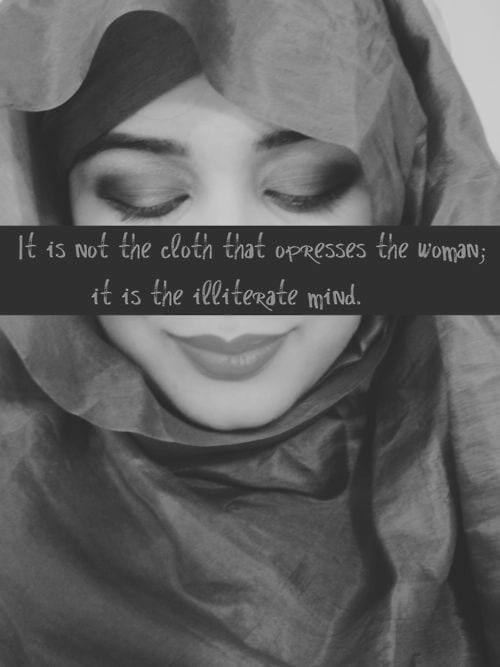 This quote teaches us how to not mix culture with religion. 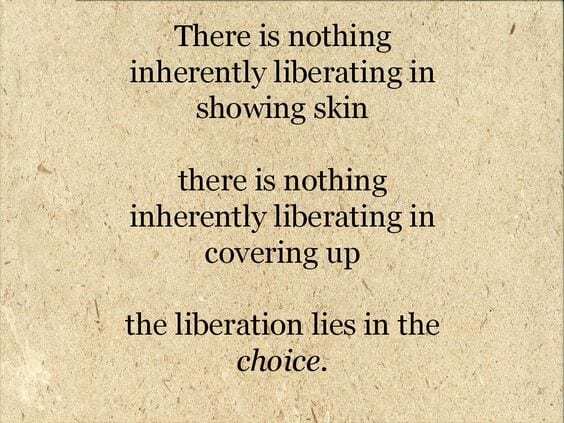 This quote is specifically about not oppressing women under any condition. 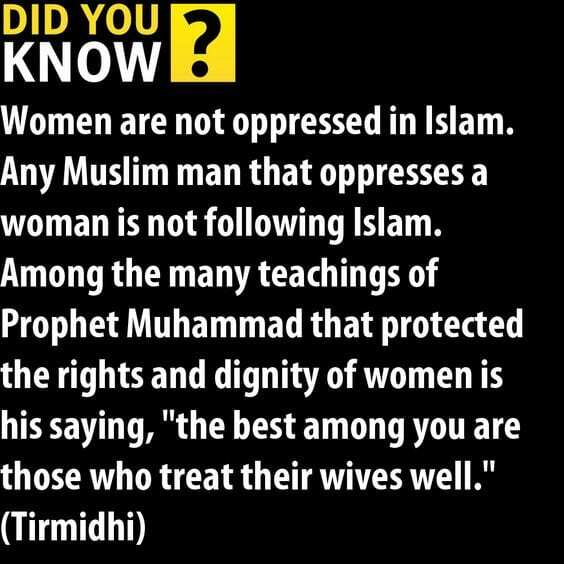 Because whoever oppresses women will have to live a cursed life and he will eventually be punished for his actions. 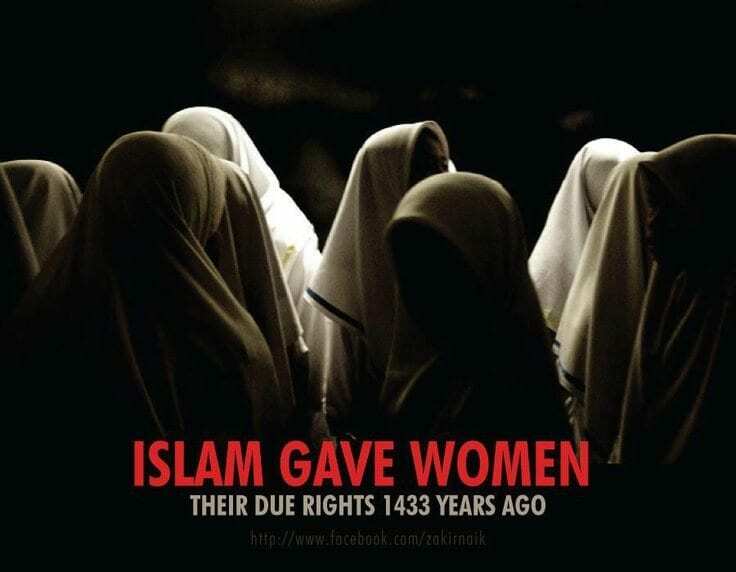 About the fact of how the rights of women were given to them about 1433 years ago. 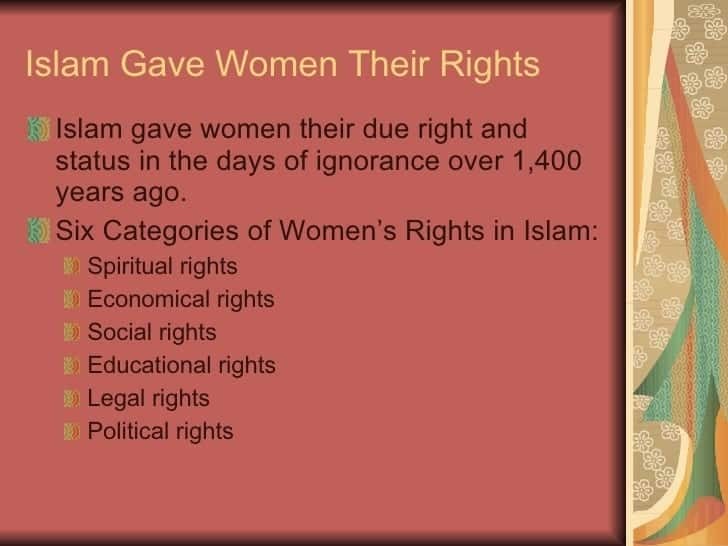 And this is exactly how old the rights of women are and these rights still apply to all women and no society can take them away from them. 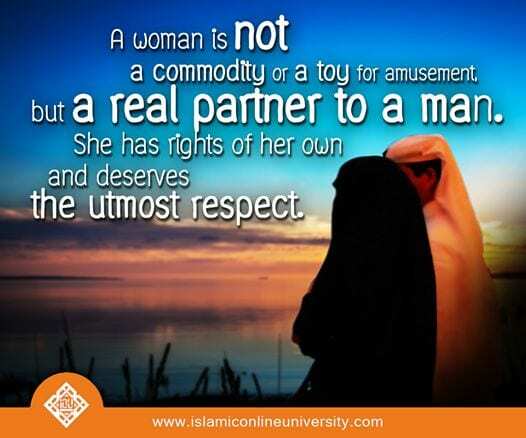 This quote sheds the light on the fact that women are not commodities and therefore, should not be treated like commodities. 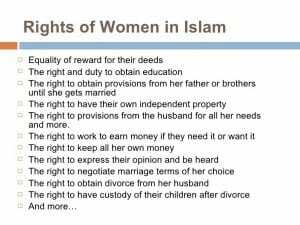 They are individuals with rights of their own. 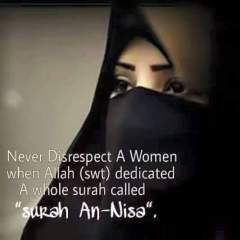 They have the rights to own up to their identity and self-respect and they will not settle for anything else. 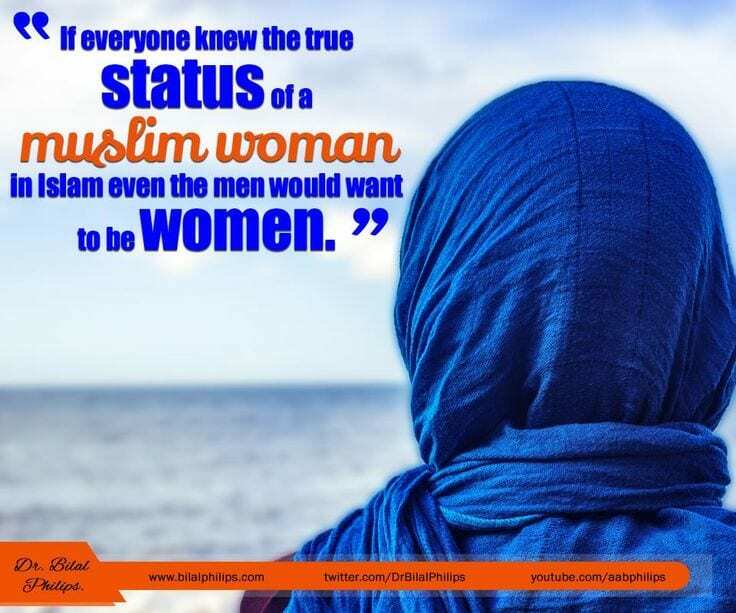 There is practically no difference between a man and woman and how they choose to live their lives. 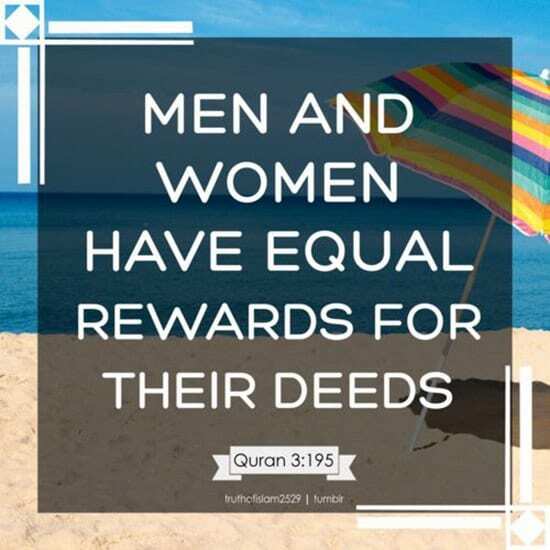 Whether it is the right to life, education, status or career, both men, and women are given equality to pursue all of those things in life. 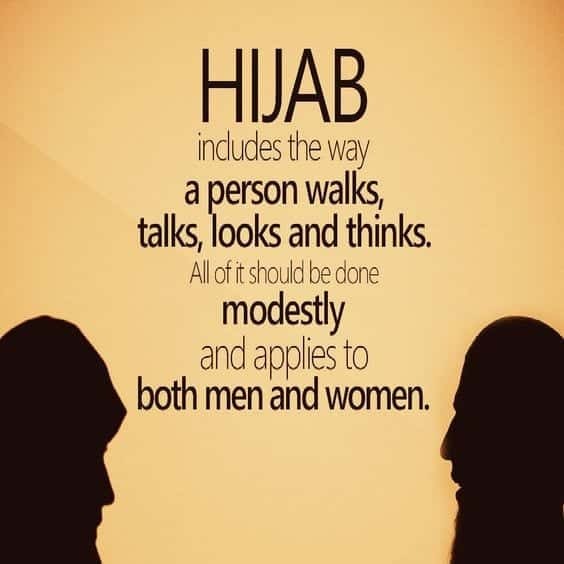 It is our society that has created the discrimination. 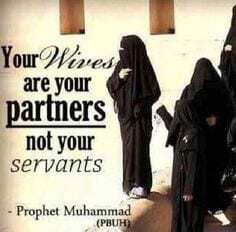 About the fact that women, when they become wives are supposed to be treated as a partner and a companion rather than a servant to their husband. 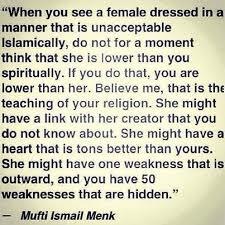 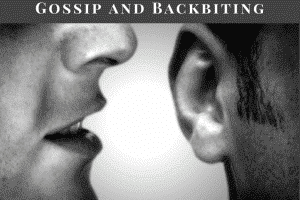 It happens a lot in our society but Islam says otherwise. 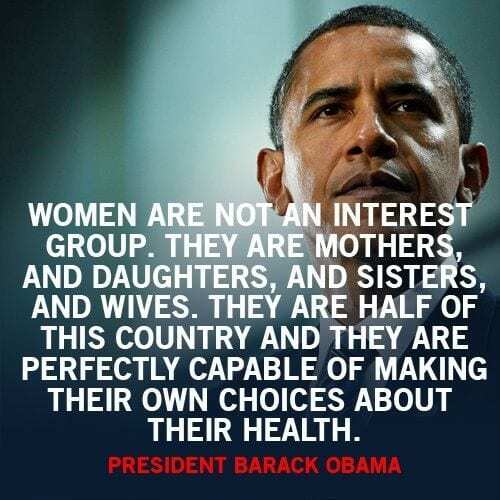 The right to an appropriate treatment is what all women deserve. 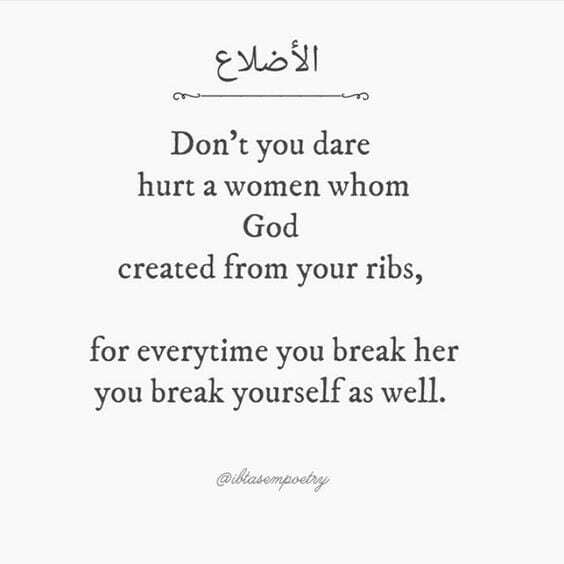 Pitifully, only a few know how to treat women the way they should be treated. 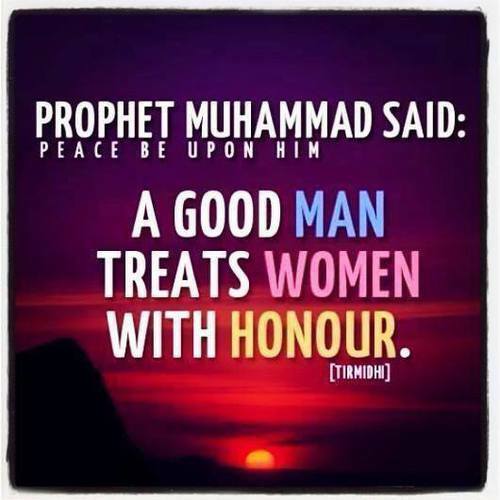 This quote tells us about the difference between those who treat them well and those who do not. 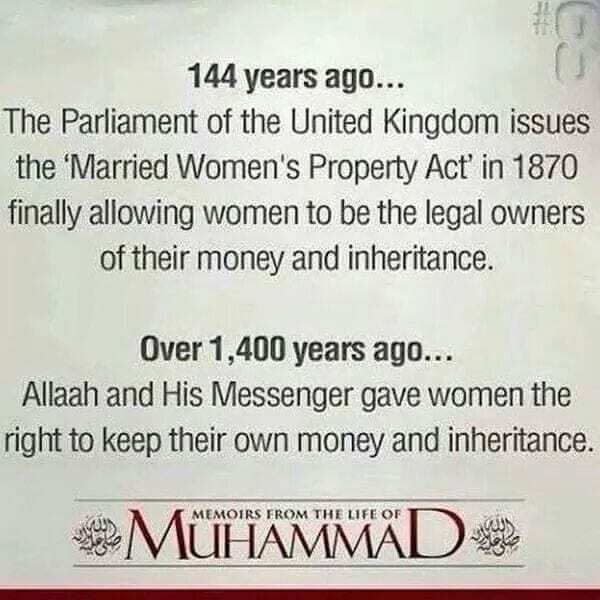 Women’s rights are basically the future and progress of our society. 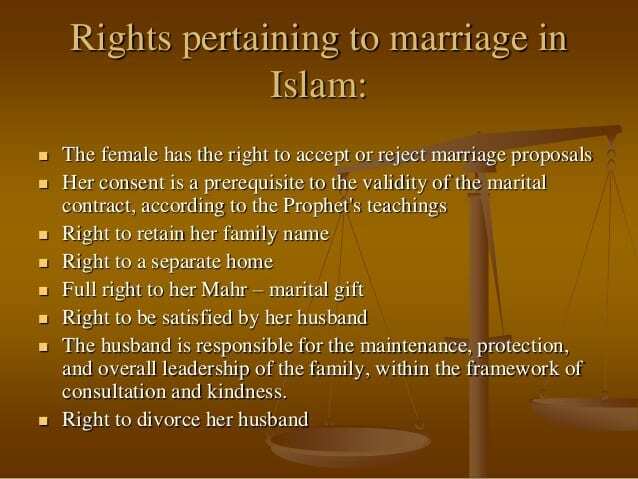 Declining their rights will lead to a society that is backward and unsuccessful. 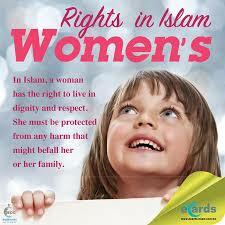 If we want to progress as a society, we have to keep their rights fulfilled. 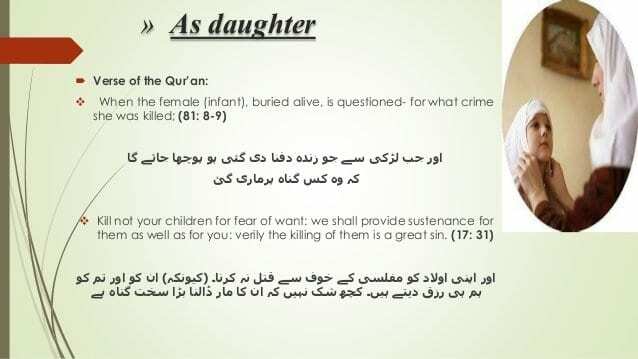 Here, the priority of better teachings has been given to Islam. 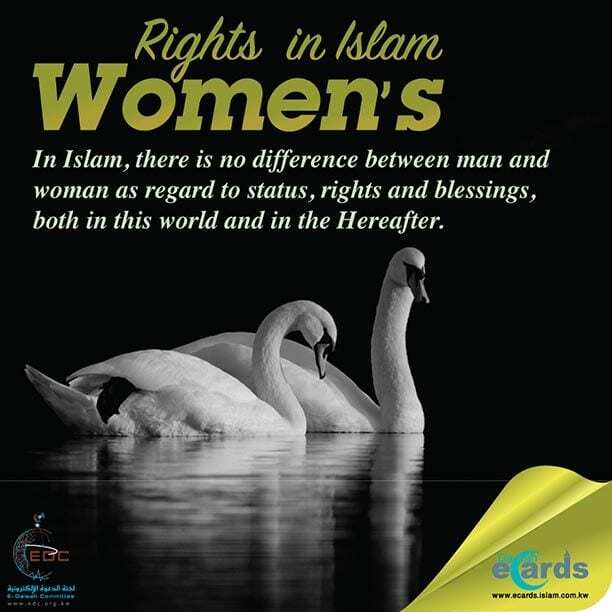 When Islamic rights of women are much more than in any other religion or teachings.